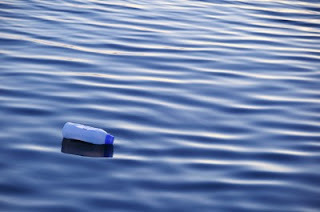 Vast, fathomless, endless, aquamarine beauty, rippling waves, sparkling white horses, leaping fish, spouting whales ... and plastic. Plastic. Loads of it. Amazing. The world, so beautiful, we humans have been here a mere blink in its evolution but we manage to find new ways to pollute it on an almost daily basis. I'm not against progress, invention is part of what human is after all, but surely we need to do things thoughtfully. Doing, (as Drs swear) doing no harm. Leaving only footprints (as they say). Plastic is one of those things (like balloons) that doesn't just 'go away', but it's amazingly useful, and in bottles we use plastic a lot. Look around you, water bottles, milk bottles, washing up liquid bottles, shampoo bottles, hand cream, soap dispensers so much 'useful-but-never-going-away' plastic. So I'm delighted that there are companies that realise that innovation doesn't need to be destructive and that keeping the world safe and beautiful is as important as profit. I was already impressed to read about Ecover's plant based plastics, but then I was told that that's not enough, they want to help clean up plastics that are already out there. I know I'm an old hippy but we can do this! 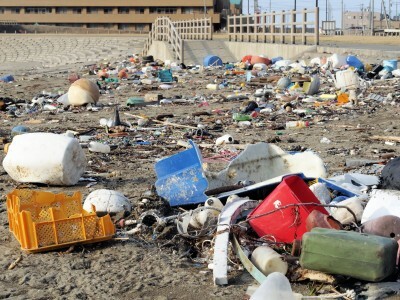 We can not only keep our planet beautiful in the future, we can start to mop up the past! "The latest innovation – the aspiration to create an entirely new plastic incorporating a percentage of sea waste into its Plantastic/PCR packaging by 2014 - is an exciting addition to Ecover’s already impressive ecological packaging credentials. Research from the Marine Conservation Society reveals that plastic debris accounts for almost 60 per cent of all litter found on UK beaches and it is widely recognised that vast amounts of beach waste ends up in the sea. Working closely with Waste Free Oceans (WFO) and UK plastic recycling plant Closed Loop, Ecover will be working with fishing communities to collect plastic* and reintroduce it into the recycling chain via its bottles – a solution which will help protect the delicate sea-based eco-systems and give a whole new meaning to ‘catch of the day’. Trials have already begun on the exact mix of the three plastics which allow the brand to deliver what will be the first ever fully sustainable and recyclable plastic." I think you'll admit that's pretty clever! I can't wait to discover more about this, especially as I live by the sea! 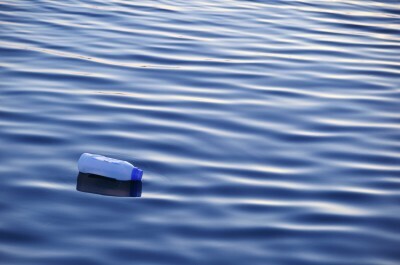 Do environmental issues feature in your purchases or do you think it's a bit of a luxury? Is a clean planet a luxury too?